If you have a higher level of expertise and the required technical know-how, you can opt for the direct equity route. For beginners, investing in equity mutual funds via SIPs are an equally simpler route of investment in the stock markets. Stock market investment is at the core of the wealth creation philosophy because you need to invest in equities to create significant wealth in the long run. If you have a higher level of expertise and the required technical know-how, you can opt for the direct equity route. For beginners, investing in equity mutual funds via SIPs are an equally simpler route of investment in the stock markets. However, before you embark on your equity investment quest, here is a 10-point checklist you should keep in mind before making any trade. How Much to Allocate To Equity? This is the first question you need to ask yourself. Each investor has a risk appetite as well as a certain risk-taking capacity. When it come to equity investments, be driven by your risk-taking capacity. Your equity allocation will increase or reduce based on your need to create wealth, your age, your liabilities, market opportunities, etc. Are You Taking Market Risk or Stock Risk? Investing in stocks entail various risks. There is the risk of macros like inflation, interest rates, and currency movements, and then there are market risks like liquidity, volatility, etc. Finally, there are risks that are specific to stocks and sectors. The first two are systematic risks, while the third one is an example of unsystematic risk. When you buy a stock, you take on all the above risks? If you want to take only systematic risks, then you can buy an index fund. This is a key decision you need to make. There is really no hard and fast rule on how many stocks one should hold, but the benchmark is to have a variety of 10-12 stocks in your portfolio at the most. If you hold too few stocks, then you don’t get the benefit of having a diversified portfolio. If you create an unwieldy portfolio of too many stocks, then you will not be able to track all these stocks nor will they add any diversification value beyond a point. 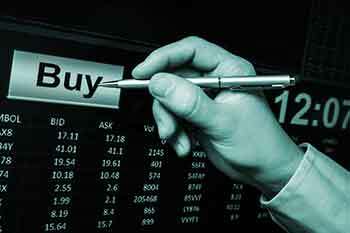 Should You Focus On Dividend-Paying Stocks? The question is whether you should buy a stock with a high dividend yield. Normally, we invest in stocks for long-term gains and not for dividends. Since dividends are a partial liquidation of the company, it reduces the value of the company. It has been observed that in India, companies that plough back more of the profits and earn a high ROE on their business tend to get better valuations (P/E ratios) compared to dividend payers. This is a fundamental rule that suggests one to stay within their circle of competence. When you buy a stock, you need to track the numbers, the news, the industry, etc. How do you do that unless you understand the industry and the stock dynamics properly? There is nothing worse than buying stocks at random. Even Warren Buffett stayed away from IT stocks for many years since he claimed that he did not understand their value proposition. It is a completely different matter that Apple is his biggest holding today. There are two sides to this argument. Firstly, when you invest in equities, you need to be prepared for losses. The historical experience is that even the best of traders get only 20% of their calls bang on target. The rest either result in flat returns or losses. When you go wrong, be quick to exit the stock. Also, don’t try to annualize your returns. 10% returns in a month does not necessarily translate into 120% returns in a year. It does not simply work that way. In market parlance, we call these red flags and there are many of these for you to evaluate. Consistent losses, tax-related inquiries, SEBI objections, default on bonds, credit default spreads, and audit objections, among others, are all instances of problem areas. In the last few months, we have seen stocks like Vakrangee, Manpasand, PC Jewellers, and Dewan Housing take a massive hit on their price when these red flags actually materialized. Use these red flags as an early warning system. No, you are not going to become rich by purchasing a stock at Rs20 and selling it at Rs100 in a few days. Such instances are usually one-off. More often than not, penny stocks are worth nothing. As the old market wisdom goes, “Cheap crap is crap anyways”. Always keep that in mind. Don’t give too much credence to market rumours, WhatsApp forwards, etc. Most of them have a hidden agenda and will distract you from your objective. Always rely on your own wisdom and the research of you broker. This is a logical corollary to the previous point. You don’t need to be a top-class analyst. Use basic touchstones for profits, leverage, margins, efficiency, etc. They can tell the actual story of a company’s business quite eloquently. It has been empirically observed that catching the tops and bottoms of the market is neither possible nor essential. If you can invest regularly in a good diversified equity fund and stay put for a long period of time, wealth creation can be immense. That should be your focus. before you enter the share market world. These include a learning and always-questioning nature and a firm and disciplined attitude towards investing. Keep these in your mind before entering the world of stocks and you should definitely find success.